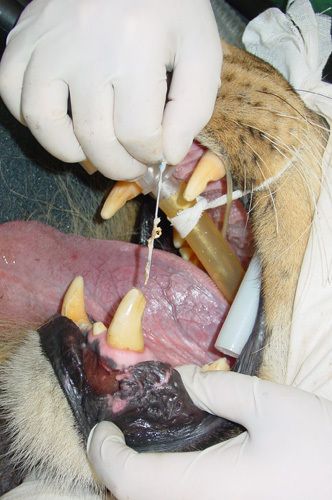 Vetdent SA cc - Vet Dentists Do? What Does A Vet Dentist Do? Plaque and calculus builds up on many animals’ teeth similarly as in humans. Pets need to have their teeth brushed daily and even so, a regular scale and polish is required to remove the stubborn plaque and calculus before it leads to infection of the gums (gingiva) and other structures supporting the teeth. As in humans, there may be teeth that cannot be saved and need to be removed, such as persistent temporary teeth or extra teeth in the mouth, and these then need be extracted in order to improve the oral health and also the overall health and wellbeing of the patient. 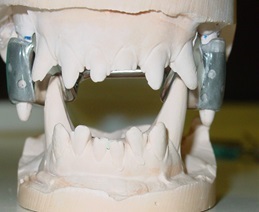 Various techniques have been developed to successfully extract teeth, however, there is an ongoing need to develop new and better methods as we continue to be challenged by different species with smaller or larger teeth. Infection to the structures that supports the tooth will ultimately lead to the destruction of these structures and this will cause the tooth to become loose and eventually fall out. The mainstay in treatment for periodontitis must still be prevention. 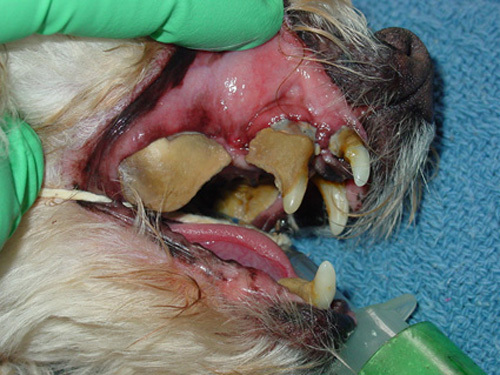 As with humans, daily brushing of your dog and cats' teeth you will greatly aid in the prevention of periodontitis in the vast majority of patients. The inside of a tooth has a hollow canal, called the pulp canal, this is filled with a pulp that consist mainly of blood vessels and nerves. When a tooth fractures and ultimately he canal is exposed, infection will get into the canal and eventually destroy the pulp. Fractured teeth should be treated as soon as possible by either partial or full pulpectomies (root canal treatment). 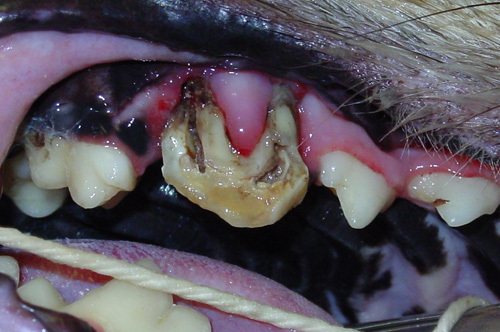 Fractured teeth cannot repair themselves and therefore professional help will be required to help your pet. 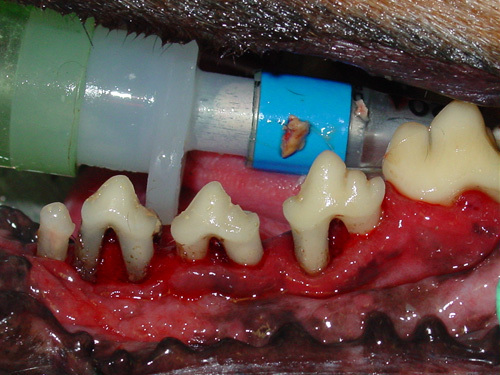 When animals fracture their teeth and a large portion of a tooth is lost, a crown can be made to protect the tooth that remains, provided that there is enough tooth structure available to hold the crown. These procedures are often performed in working dogs, such as police dogs that require their teeth to pick up objects in the line of duty. 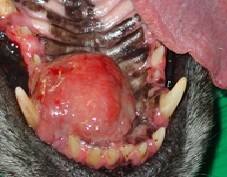 Dogs and cats often suffer from malpositioned, teeth that may cause trauma to them when they close their mouth. A very important distinction to make in these patients is if there is a jaw length discrepancy, or if the malpositioning is because of a single tooth. The former patients mostly have a genetic base to their disease and therefore to relieve pain and or discomfort. It is strongly recommended that these animals should be neutered. Performing surgery involving the bones of the jaws and face may be required for a wide variety of reasons. Trauma to the head often results in jaw fractures and repairing such fractures is commonly performed procedure. The removal of tumors (cancer) of the mouth is another frequent maxillofacial procedure performed by Dr Steenkamp. These tumors may occur in the jaw bones and in order to remove the growth, part of the jaw may need to be removed. Cleft palates and or lips are less frequently encountered. Those animals that survive the first 3 months can undergo surgery to close the defects. 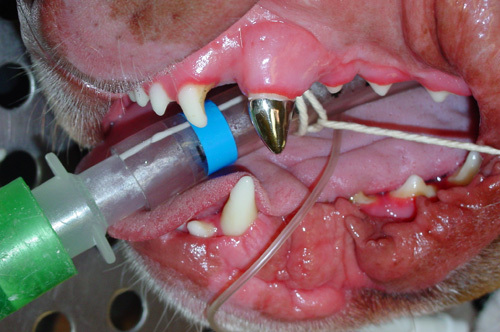 As there is a genetic link related to cleft palates and lip development, once again, it is strongly advised to neuter these animals to prevent the condition from being passed on to their offspring.